Product description: 5052 aluminum strip of haomei aluminum. is certificated to ASTM B209 and it can be cut to size at customers’ need. The main content is Mg, which improve the strength of 5052 aluminum strip. 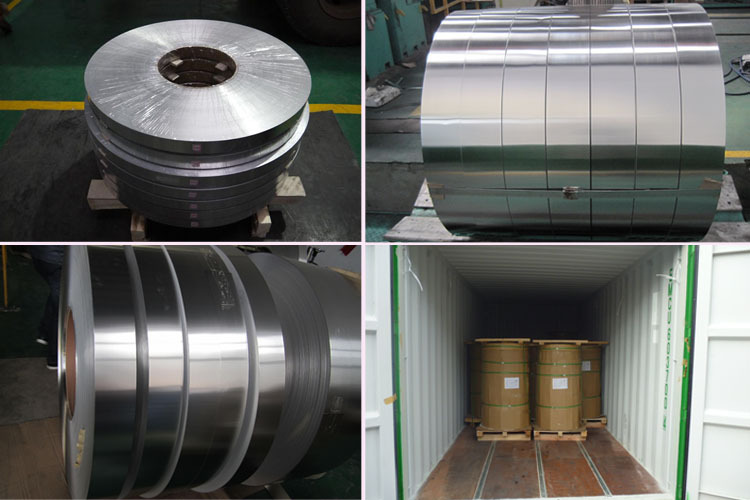 5052 is an aluminium alloy, primarily alloyed with magnesium and chromium.5052 aluminum strip of haomei aluminum. is certificated to ASTM B209 and it can be cut to size at customers’ need. The main content is Mg, which improve the strength of 5052 aluminum strip. Products with different thickness have different tensile and yield strength, as well as elongation, all of which live to international standards. 5052 aluminum strip is stronger than 1100 and 3003 and it is an excellent candidate for most processing techniques.Typical applications include architecture, general sheet metal work, heat exchangers.